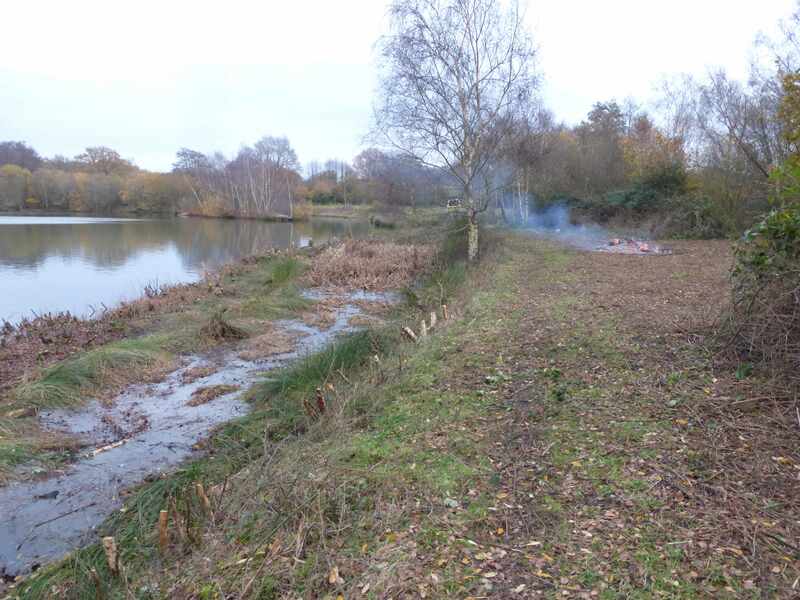 Last week there was a double task at Moor Green Lakes working on Long Island. 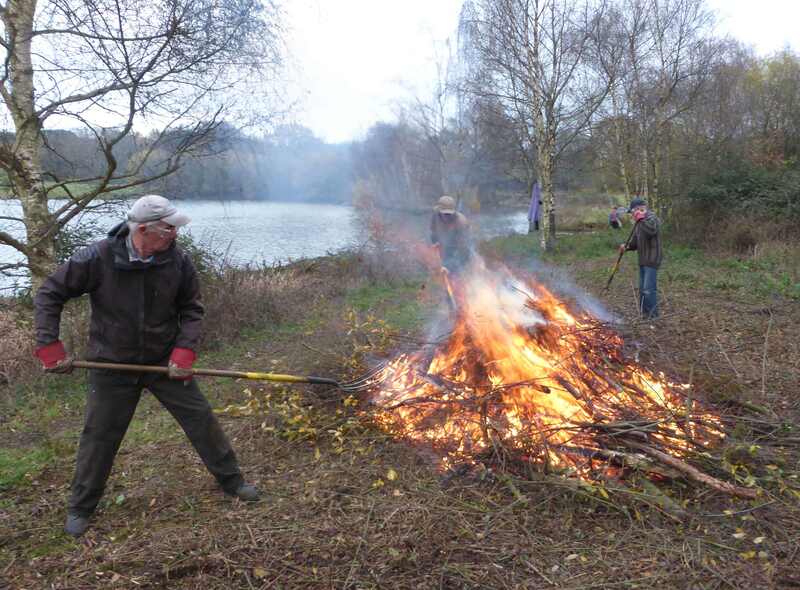 On Tuesday we decended with the Blackwater Valley Volunteers to set up the pontoon crossing, motorscythe the bramble for a fire site and cut back the mainland willow. Our Long Island work of clearing the vegetation for over-wintering wildfowl is usually focused at the western end, where there are good views from the hide. This time we tackled the eastern end where the track access had become very overgrown. Also we exposed a hidden scrape where the shallow muddy ”bay’ is ideal for waders and invertebrates. Anyway the team got stuck in felling trees on the narrow bund which separates the scrape from the main lake. I was surprised to discover that this scrape has a channel into the lake at both ends, so the central bund is in effect a baby island, hence lots of leaping across the gap and bridge building. 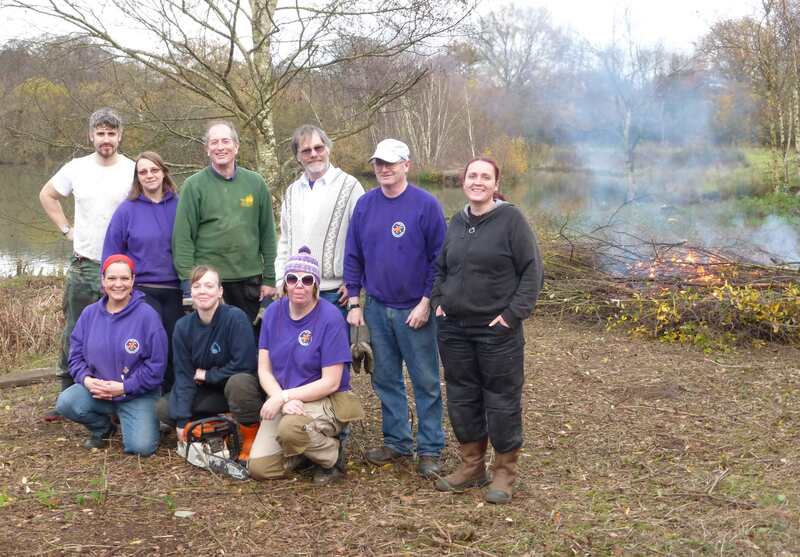 On Thursday we were joined by the Blooming Marvellous Volunteers from Rushmoor Voluntary Service. Over both days it was great to get so much achieved and many thanks for everyone who helped.